There are many reasons for applying a new base of mulch every spring. 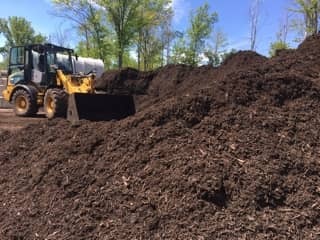 Mulch primarily aids in the overall health and vigor of the plant material by acting as an insulator (improving the soil's ability to retain moisture) and as a barrier, assisting in the control of weeds. In addition, the natural, fresh, dark color creates contrast, which enhances the overall perception of the landscape's greenery. 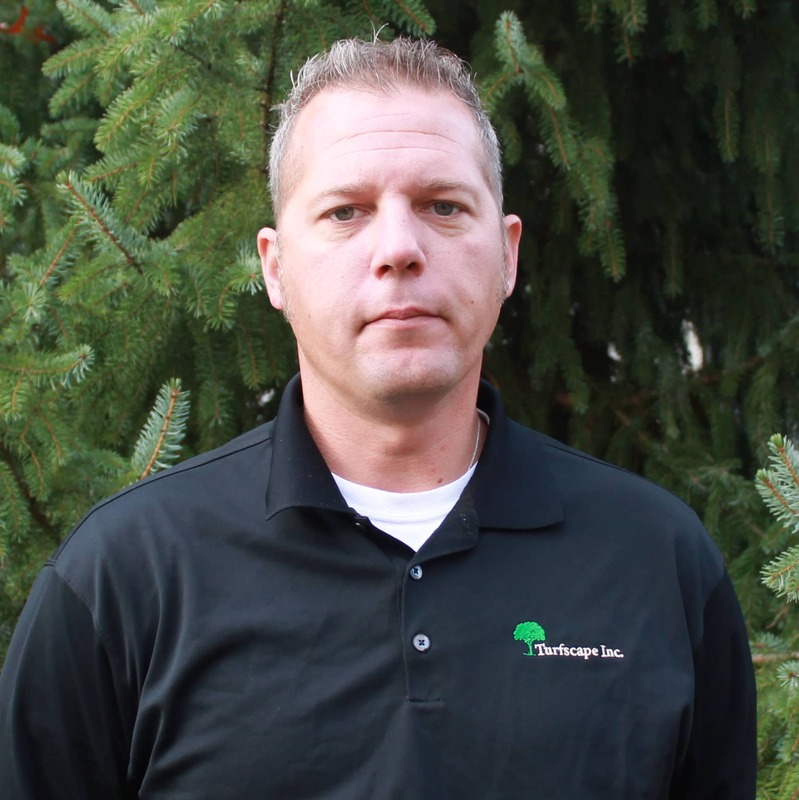 Turfscape applies the mulch at a depth of 1.5"-2" in predetermined areas. We recommend applying a new base of mulch from mid-spring to mid-summer. The bark has been shredded at least two times. It is dark brown and stringy. The color does vary slightly depending on how long it has been aged. Typically runs the color of coffee grounds or chocolate. Available in double or triple shredded. The triple shredded is finer and is mainly for use in mulch blowers. This is the most common mulch. 100% pure hardwood bark. Mostly oak, cherry, poplar, and maple. Has a rich dark color of coffee grounds or chocolate, and a natural texture, which are the perfect visual enhancements in any landscape setting. It has a sweet, earthy smell. It differs from many mulches and soil amendments in that it contains no human waste and no construction or demolition debris. Sweet Peet is safe for children, pets, plants and all living things. All around best composted soil conditioner available. As a superior soil conditioner, Sweet Peet is fortified with farm manure and reduces nitrogen-borrowing when tilled-in around root zones of plantings. 100% organic product made from composted ingredients harvested from local farming operations. Mostly oak, cherry, poplar, and maple. Coarser than the natural mulches. The pieces are about the size of broken pencils and contain very little fine material. FDA-approved colorants will not harm plants or soils. Dye will allow the mulch to hold its color longer than natural mulches but it will not lend as much nutrient to the soil. Comes in black, brown, red, or gold. Black- pure black, like charcoal; brown- chocolate brown; red- brick red; gold- orange-brown, looks like cypress mulch. Wood is primarily ground pallets. 100% recycled hardwood that has been color enhanced with a FDA-approved dye. Square chips of wood approximately 1" by 1" by ¼" thick. They do not come from tree companies; they come from lumber mills. This means there is no leaf material or sticks in them. The color is natural wood or tan. The existing mulch will be manually and mechanically cultivated to improve air, moisture and nutrient penetration as well as appearance (no new mulch will be added). We recommend mulch cultivation be done from early spring through late fall.